A lovely classic Mary Jane style with a sturdy heel and ankle strap to give added security. A gently rounded toe with elegant pleated sash finishes the look to perfection. 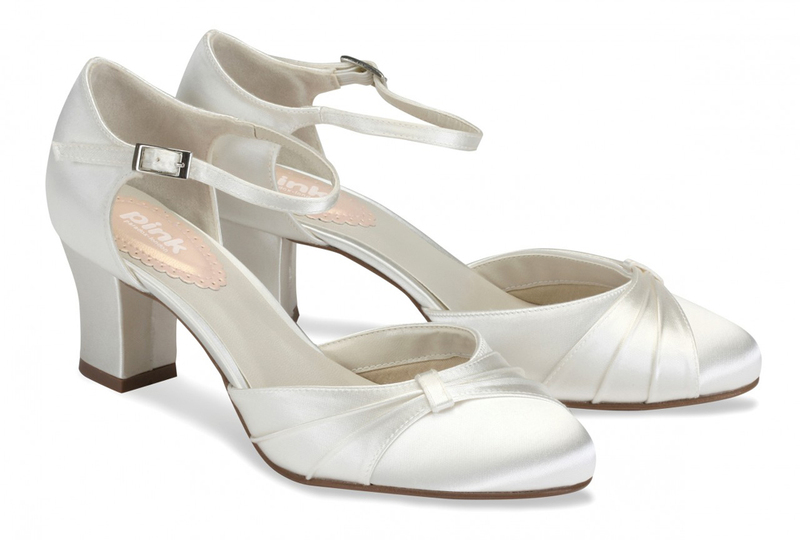 Click the button below to add the Paradox Pink Maple Ivory Dyeable Wedding Shoes to your wish list.